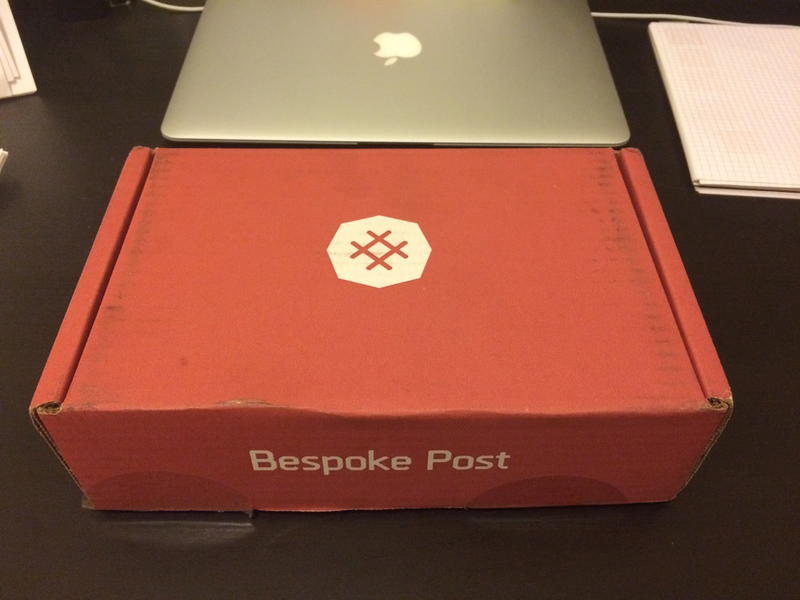 So I Just got my first Bespoke Post Box. What is that? Well, you may have seen these things on your Facebook feed or similar social media outlets. Essentially, its a box of goodies that is mailed to you every month for a fee. The company [Bespoke] offers different types of boxes or recommends products based on your interests. In my case, little odds and ends that I think would be nice to have. Other companies send clothing, food, toiletries. My wife just signed up for one that delivers candy from Japan to her twice a month. It's a rather interesting service, and I would say a great way to learn about new products sold on the internet not found in most stores. That being the case, it's a relatively luxury service capitalizing on increased communication between companies on the internet looking to get their products to market, and using home mail services to supply their customers. 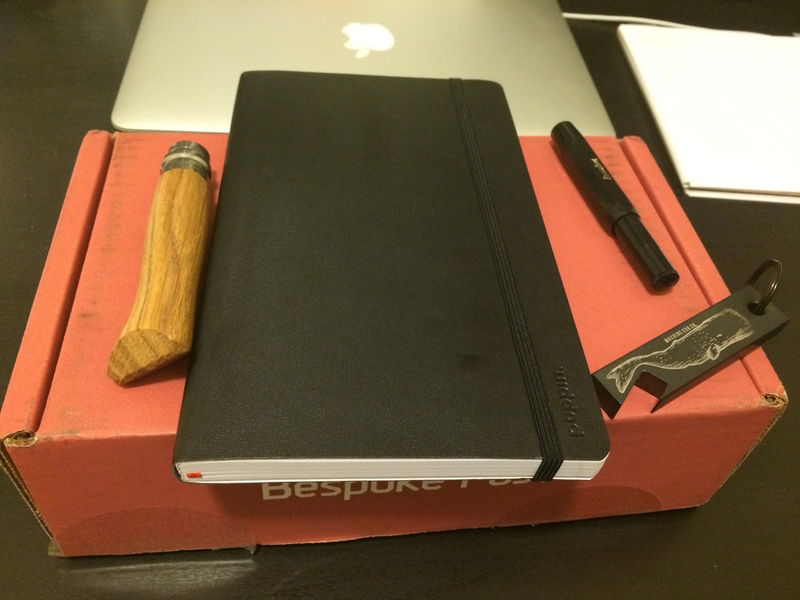 In my case, I got the so-called 'Frontier Box' that came with an Opinel Knife, Kaweco Sport Fountain Pen, Poppin Notebook, and Machine-era milled bottle opener. There was even a pamphlet delivered giving the history of some of the products and how to use them. I love this stuff. For $45 its a lot less expensive than me ordering them individually. Some of my favorite things in a box. So, I got the idea, what if we could make similar boxes for patients? What if there was a website with a bunch of different box tracks for patients to order from, that had stuff maybe that they would find beneficial? For instance, diabetes, heart failure, asthma patients could benefit from a box with personalized products that they could enjoy. To be honest, one of the biggest things I could see would be food for some disease states. Not that this hasn't been done, with artisan food products also delivered like the Bespoke box. But maybe food or ingredients that would be good for someone with such a chronic disease state? Maybe for my heart failure patients, a box of spices that can replace their desire to use salt in their meals for instance? Other products could be health products for their lives, like wearables, app codes for their phones, books/self-help books, and other odds-and-ends. I looked around to see if such a project or start-up looked into this, and found one, DoctorBox. However, looks like they may have gone out of business last year. They seemed dedicated to those with pre-diabetic or had diabetes. Two other ones, that seem focused on food, include NatureBox and BlissMo. Given, most of these seem like organic snacks or food, but the idea seems sound. This might make a unique care package by hospitals/clinics to their patients, or by family members trying to be supportive. Others could be patients looking for new ways to help themselves. Overall, it's just an idea. I wouldn't be suprised to see someone make a large attempt at this, and would look forward to see what they put together and who buys-in to it. Meet the Godwin Bottle Opener. In the meantime, I'll enjoy my new bottle opener and Hard Cider (Angry Orchard). What I am Reading - "The Accidental Medical Writer" and "Thinking with Design/Type"